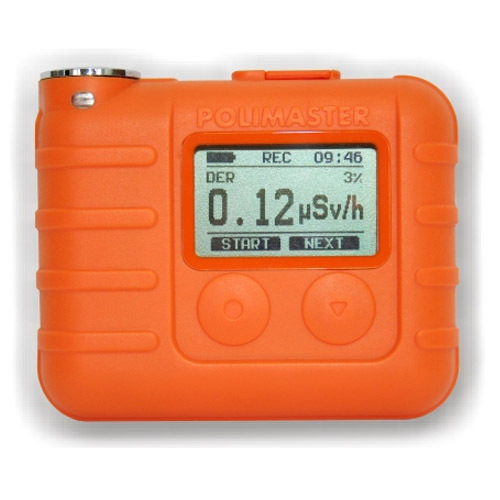 The PM1610B/B-01 personal dosimeter is capable for continuous and pulse measurement of radiations. The ergonomically designed dosimeter meets the special requirements of personnel with potential risk of harmful radiations at the workplace. 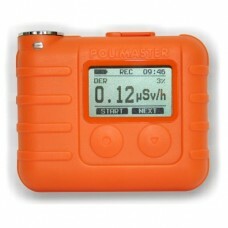 The PM1610B / B-01 are a special modification of PM1610 series personal dosimeters with better and upgraded features. 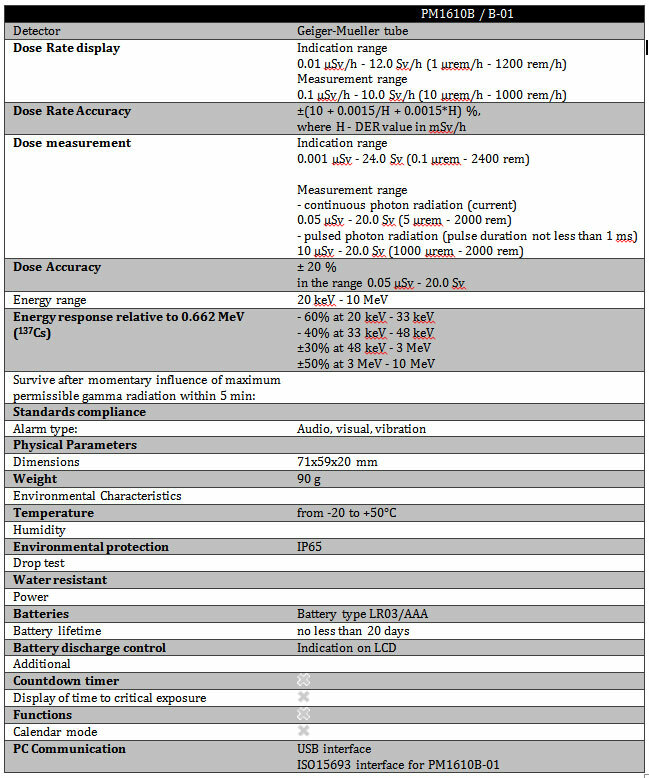 The instrument is readily usable with AAA (LR03) battery. PM1610B / B-01 have an extended DE measurement range and better precision of DER measurement. It is devised for accurate measurement of dose equivalent and dose equivalent rate of continuous and pulsed X-ray and gamma radiation along with time of dose accumulation. It warns the user with it audio, visual and vibration alarms in case preset dose/dose rate threshold levels are exceeded.